Turn your iphone into a Public Announcer and speak up! Turn your car into a wireless boombox on wheels! Create and playback your own sound effects and phrases! Make it ANY horn you want! Don’t just own a Car… Own a Talking Car™! 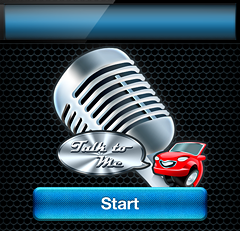 Make Your Car Talk with Talking Car kit -the first mobile application in the world that will make your car talk, and will take your ride to a whole new level ! This is the coolest gadget on the planet for car enthusiasts, and this is your opportunity to become one of it's first owners and show it off to your friends on a cruise night ! How to Make Your Car Talk in less than 15 min? Download the app from App Store! Purchase Talking Car kit (iPhone is not included) and don’t miss your chance to have your car talk to that cute girl or that handsome guy passing by and break the ice ! Once you get your Talking Car kit, make sure to participate in our Funniest Talking Car video Contest. Submit your video and share your fun. Funniest video will get a FREE, brand new iPad, or another Talking Car by the choice of the winner! Visit our See It page and Frequently Asked Questions for more details. Things you could do with your Talking Car™ ! Make your car say funny phrases, or sound like a wild animal, or change the sound of your horn altogether, not to mention all the cool sound effects included in the application’s library ! Turn the Public Announcer function on, turn your app/car into a loud speaker and speak up your mind. Spread the love throughout the streets of your city ! Having a party? Simply connect your iPhone/ iPod Touch (or any 3.5 mm audio output) to the Talking Car™ amplifier and play your favorite music through its powerful waterproof speakers installed under the hood of your car ! 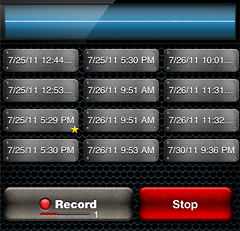 Record your own 5-sec Sound Effects / Phrases in any language you speak ! Promote your product or a business by spreading your customized message through our Talking Car™ kit. "I just installed my "Talking Car" horn and it is the best sound generation system I have ever heard. "It is a very cool device, I use it often to impress my friends! I highly recommend this device for any car or gadget lover!!" - Damen T, USA. "We both love our talking car – so much fun! "- Margarete L,Sydney, Australia. "Can't believe there was a gadget like this. Bought two for my cars and having a blast every weekend! Very cool, guys!" -Tim J, Toronto,Canada. "Installed on my company's van and promoting my business through my Talking Car. Getting lots of attention!" -Richard K, Florida,USA. "Can't wait to come across another Talking Car like mine on the streets of London!" -Ethan L, London, UK. 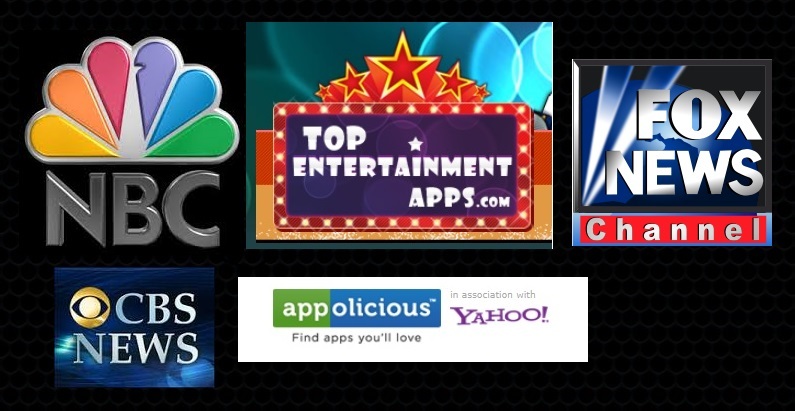 Over 2,000,000 downloads of Talking Car application around the world in 24 month! Follow us on Facebook and Twitter to be informed of new cool stuff coming up your way, boys and girls ! Don't forget to register for Talking Car™ E-mail updates! Our specially designed Talking Car™ amplifier gives you unprecedented 550 Watt (none- RMS) output. Loud enough to turn heads blocks away ! Its quality allows you to play any music out of your mobile phone or any other audio player with 3.5mm audio output and turn your car into a mobile boom box or advertisement machine ! 3.5mm Aux input for CD, MP3, MP4, iPhone/iPod touch, Android, and virtually ANY 3.5 mm audio input. 3.5 mm Audio and 12 Volt power cables. Remember, emergency sirens such as Police, Fire and Ambulance are illegal to imitate and we do not have them on our original application! Be nice and respectful! Talking Car™ is made for LOVE ! TALKING CAR™ IS FUN … AND VERY ADDICTIVE! YOU’VE BEEN WARNED!